1932. Erection of the Bankok Memorial Bridge. 1933. 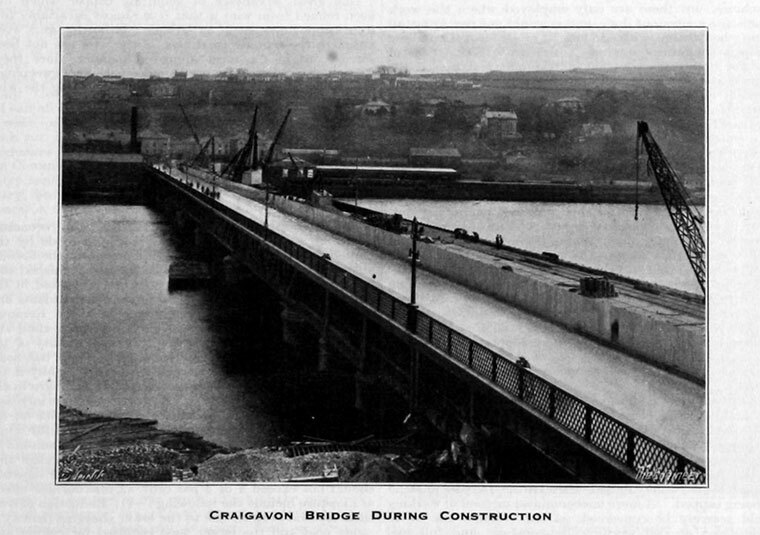 Craigavon Bridge During Construction. 1934. 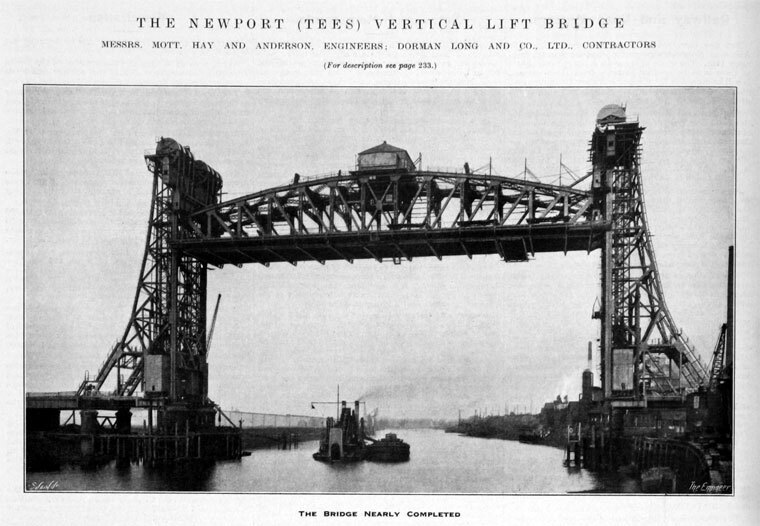 The Newport (Tees) Vertical Lift Bridge. Mott, Hay and Anderson, Engineers. 1959. 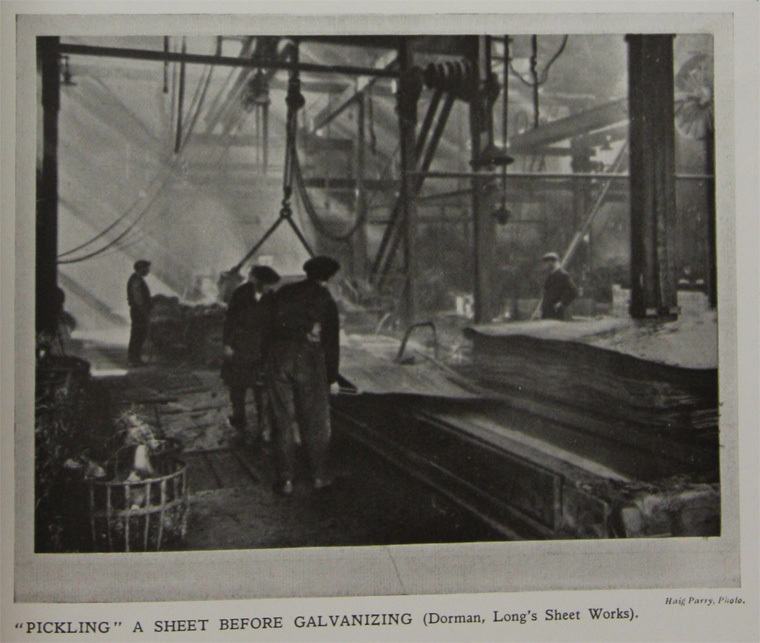 Stacking Beams at the Lackenby Universal Beam Mill, supplied by Wellman, Smith, Owen Engineering Corporation. 1964. Large flywheel and belt pulley system operating the rolling mill at Ayrton. 1964. 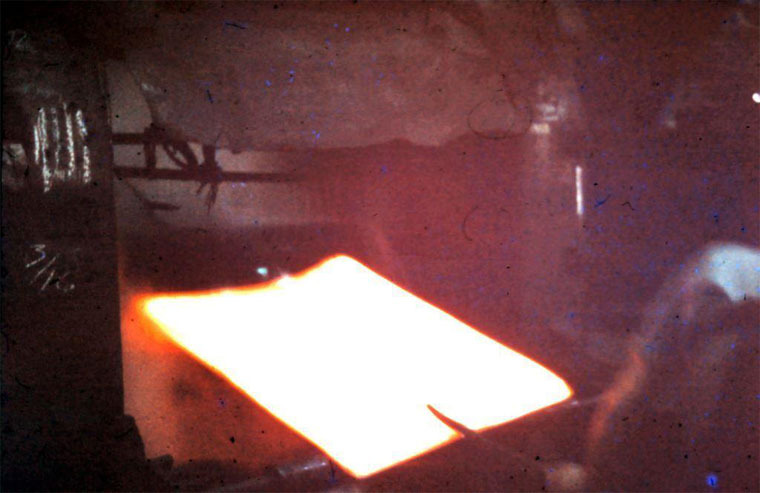 Man catching the sheet and passing it back through the rolling mill. 1964. Dorman Long Map of the Works. 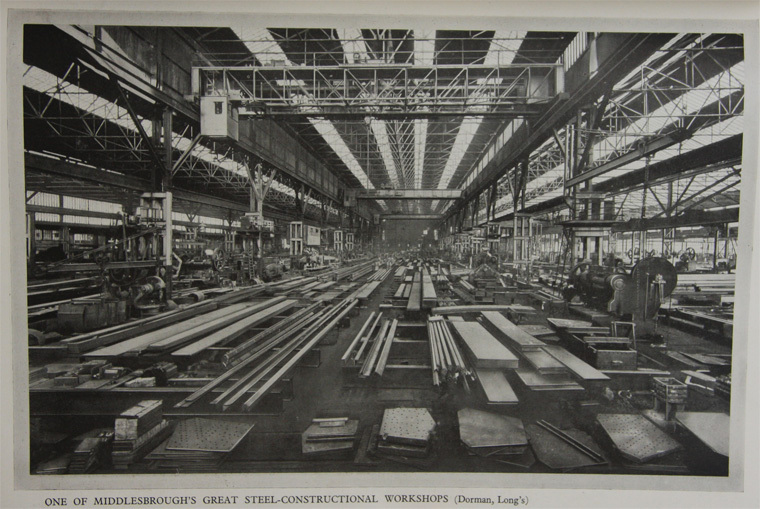 Dorman, Long and Co of Middlesbrough were a major manufacturer and fabricator of steel components and structures. 1837 The first Cleveland ironstone mine opens, at Grosmont. 1841 Bolckow, Vaughan and Co open the first ironworks in Middlesbrough. 1855 30 blast furnaces operate within six miles of Middlesbrough. 1865 One million tonnes per annum (TPA) of iron were produced to make the area one of the world's major centres of iron production. 1875 Number of blast furnaces increased to 100, producing two million tpa. 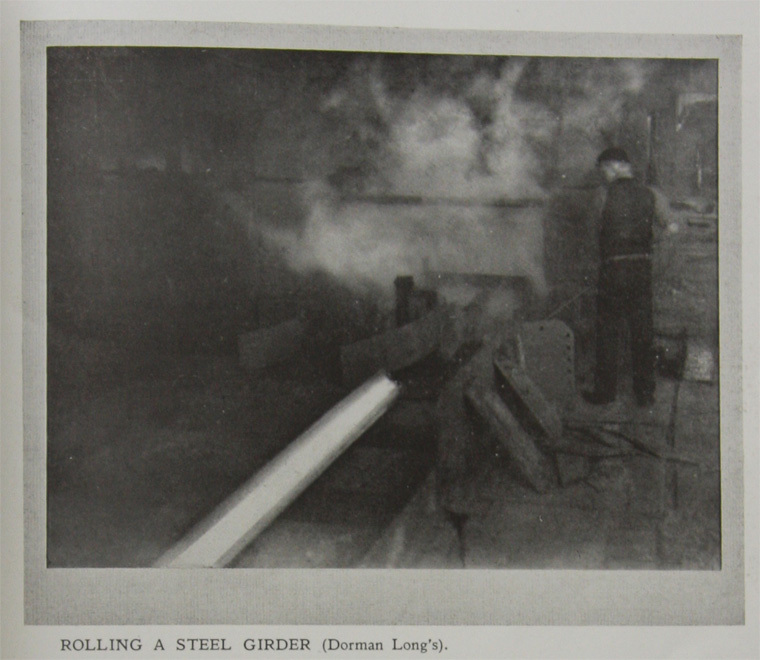 1876 Dorman, a metal broker, launched a partnership with Albert de Lande Long, taking over an existing plant, the West Marsh ironworks, Middlesbrough, initially manufacturing iron bars and angles for shipbuilding. 1879 Leased the Britannia Works from Sir Bernard Samuelson. 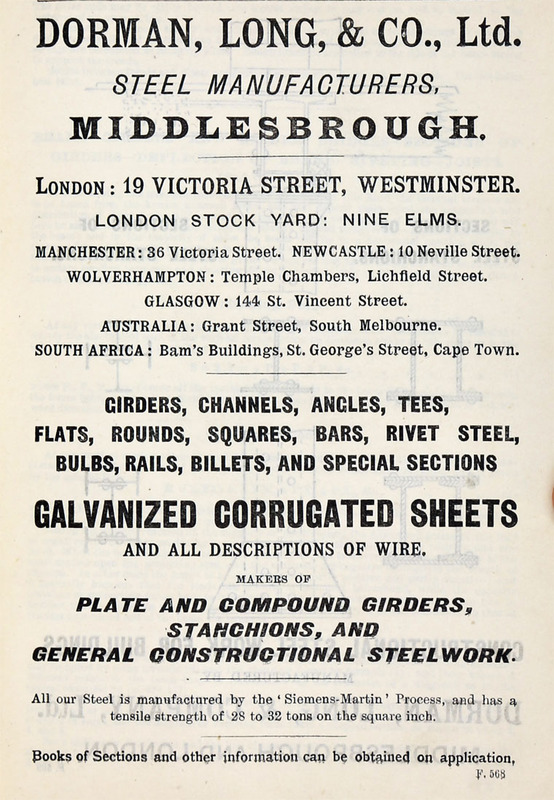 1879 Sidney Gilchrist Thomas persuaded E. W. Richards, manager of Bolckow, Vaughan and Co's works, to try out the process that he and his cousin, Percy Gilchrist, had invented for dealing with the phosphorus in pig iron produced by the Bessemer converter leading to the commercial production of steel. 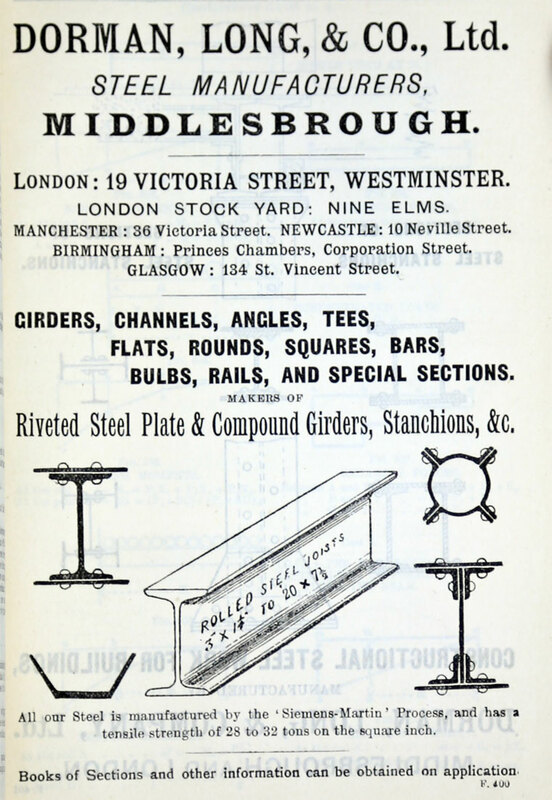 1889 The company was registered on 2 November, to take over the business of manufacturers of iron and steel bars of the firm of the same name at Middlesbrough-on-Tees, and other businesses have since been acquired. Operated the Britannia Works and the West Marsh Works. 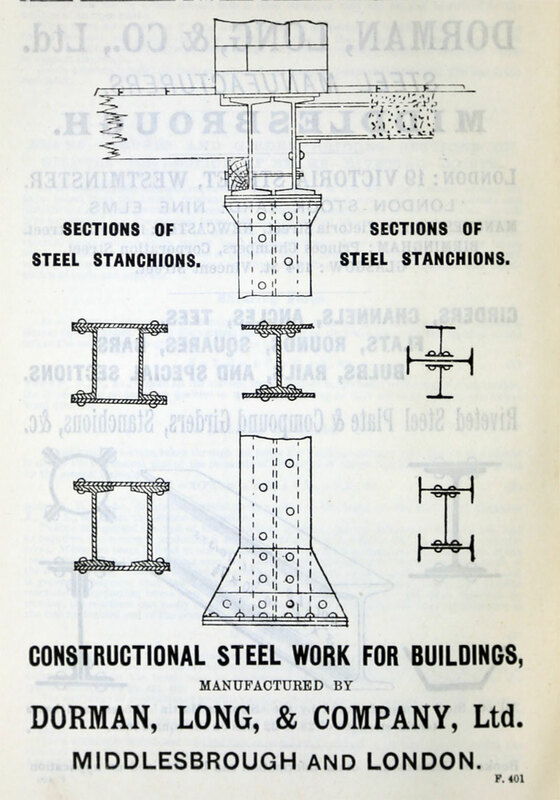 1899 Joint venture with Bell Brothers which built a new steel works at Clarence Works, adjacent to the blast furnaces. 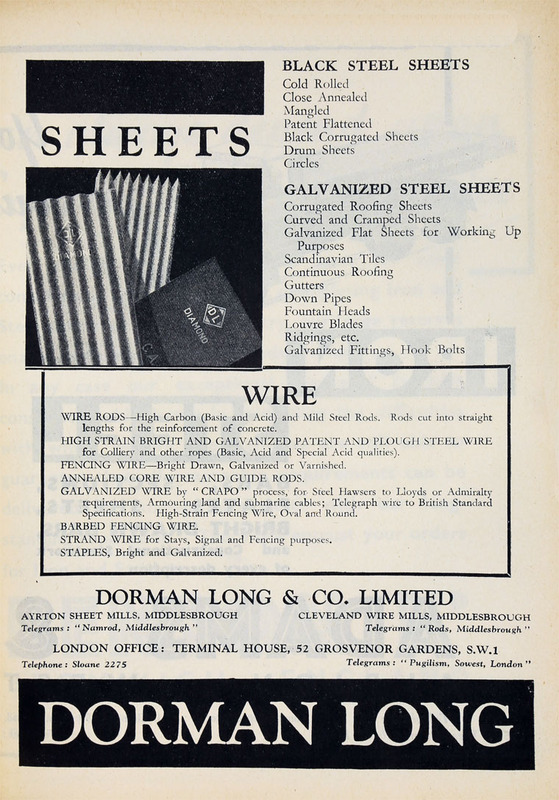 1899 Acquired the sheet works, Ayrton Rolling Mills, after the death of Robert Page Dorman, and the wire works (which had been started by the Bedson Wire Co). 1900 William Henry Panton and Charles Dorman became joint managing directors. 1900 Obtained the contract for the new construction works for The Westinghouse Electric and Manufacturing Co to be erected at the Trafford Park Estate on the Manchester Ship Canal. They also have a contract for similar work for the British Thomson-Houston Company's new works to be erected at Rugby. By 1901 the company was a major manufacturer with a labour force of about 3000 and an output of about 180,000 tons of finished material a year. 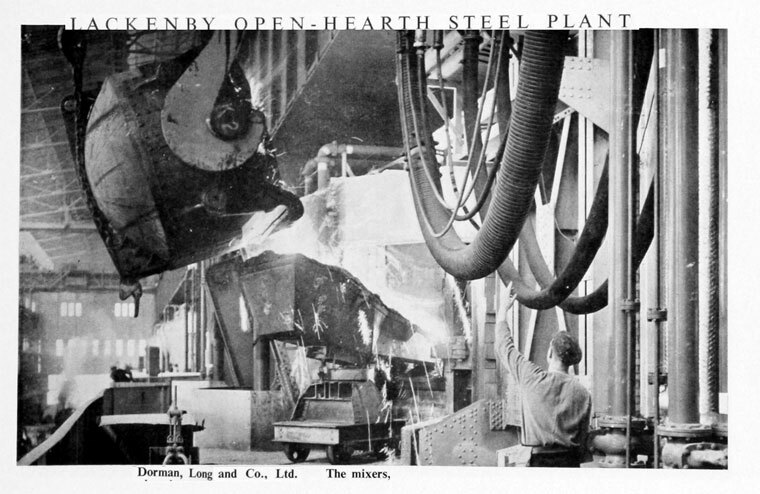 1902 The first integrated steelworks, involving conversion of iron ore to finished rolled steel shapes, was built at Cargo Fleet. 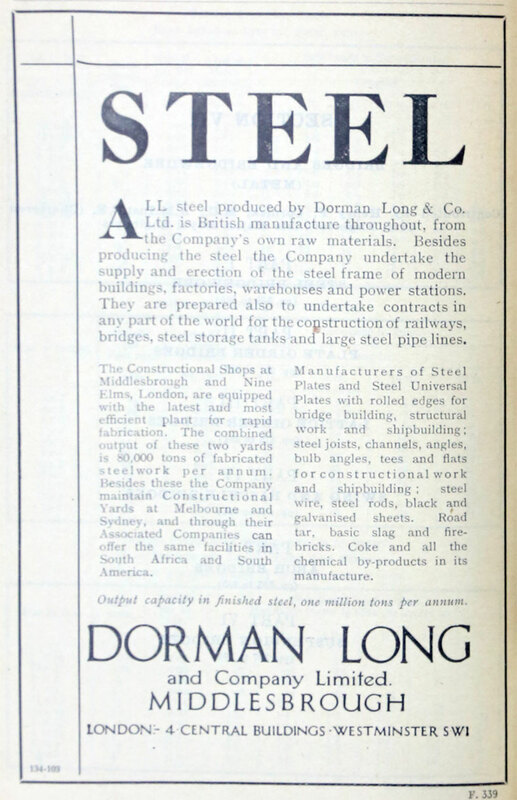 By 1914 Dorman Long had a workforce of about 20,000 and was a dominant firm on Teesside and a major British steel producer. 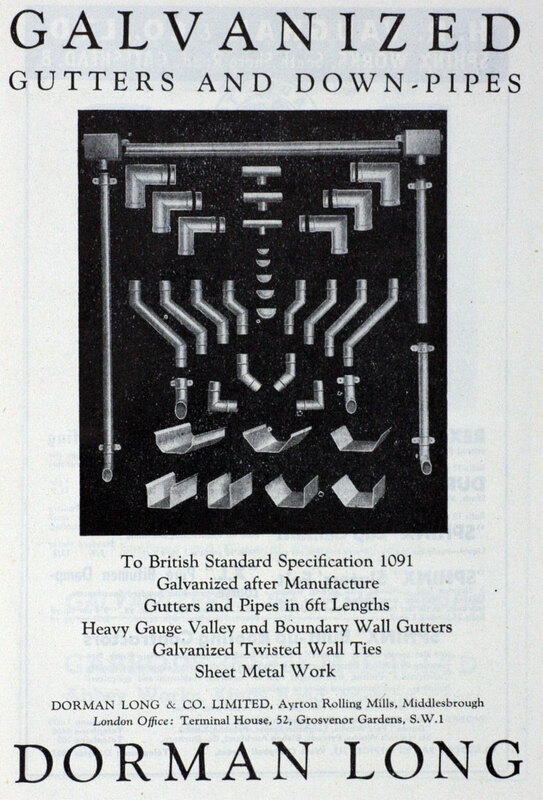 1918 Acquired Sir B. Samuelson and Co in order to improve the supply to Britannia Works. 1922 Dorman Long and Co won the contract to build the Sydney Harbour Bridge. Over-capitalized and burdened with debts, Dorman sought refuge in another merger with an equally ailing neighbour, Bolckow Vaughan. 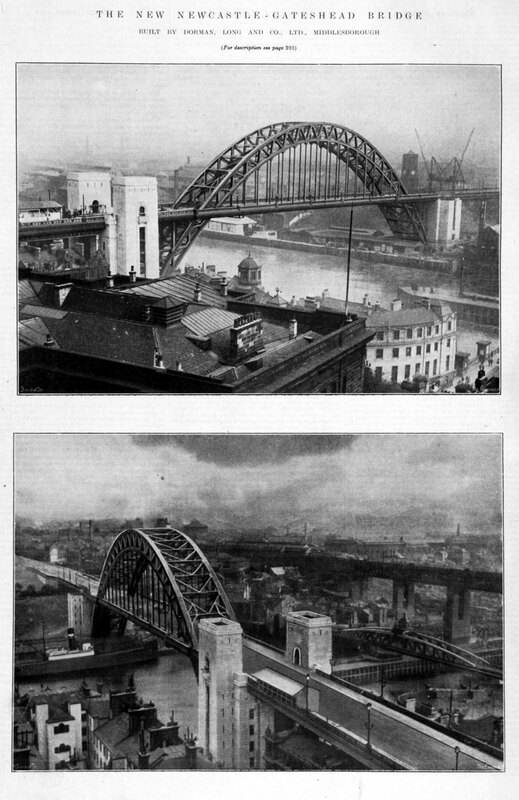 1929 Acquired Bolckow, Vaughan and Co; the latter controlled Redpath, Brown and Co; the bridge-building and structural engineering parts of Dorman together with the Redpath business would assume a commanding position in structural engineering. 1931 Deaths of past chairmen: Sir Arthur Dorman and Sir Hugh Bell; Charles Mitchell became the new chairman; Arthur J. Dorman was managing director. 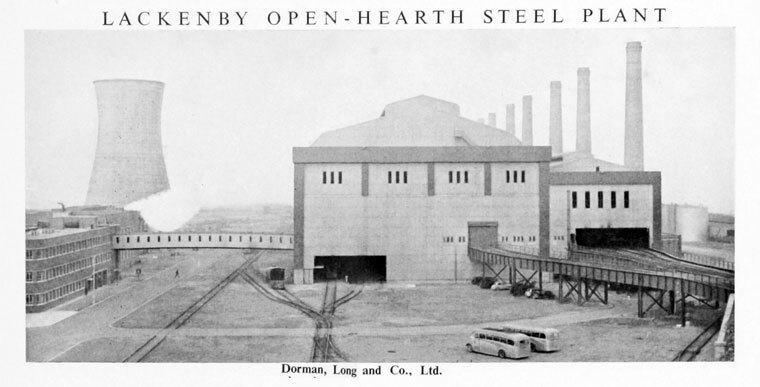 1933 Proposed amalgamation with South Durham Steel and Iron Co failed to proceed because of relative weakness of Dormans. 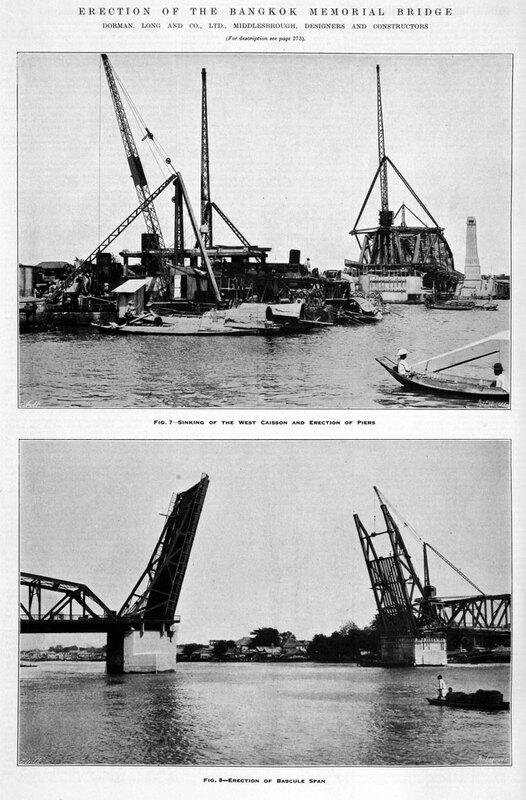 1934 Built the Tees Vertical Lift Drawbridge. 1946 Dorman Long and Co purchased 600 acres of land between the Redcar and Cleveland Works to build the Lackenby development. 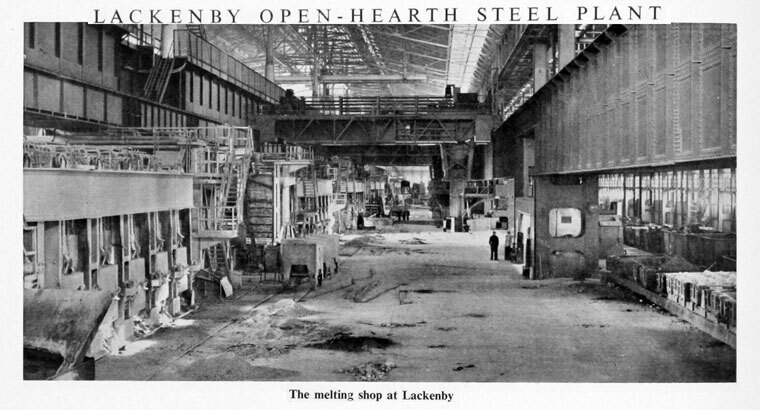 1947 Civil engineering work had been done at the site at Lackenby but construction of the new plant had not started by the end of the year. It was planned to build 2 new blast furnaces at the Cleveland Works. 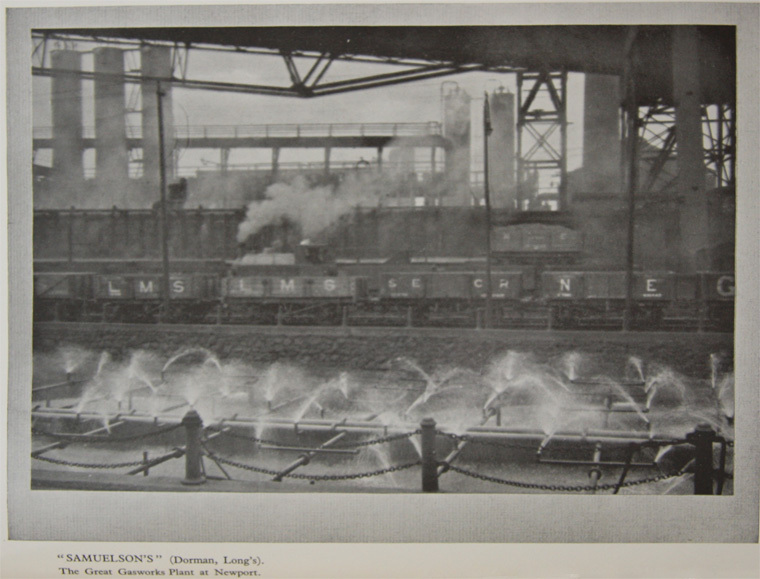 Dorman Long (Steel) Ltd, including Lackenby and Cleveland steel works and blooming mills, and coke ovens at South Bank. Clarence chemical works at Cleveland, to treat the tar and benzole from the Cleveland coke ovens, producing saleable products. 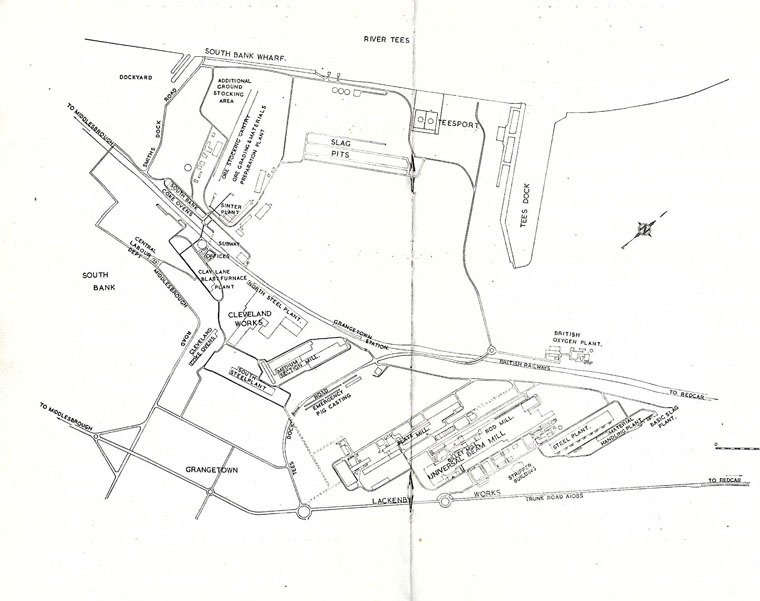 1973 Site development of the existing Redcar Ironworks began. 1979 The number of blast furnaces drops to one - producing 3.3 million TPA. 1990 they were merged with the Cleveland Bridge and Engineering Co and were still involved in the design, manufacture, fabrication and erection of many different types of structures such as bridges, buildings, offshore platforms, airports, etc, with one of the most recent high profile contracts, being the new Wembley Stadium in London, England. "Dorman Long, founded in 1876, became a public company in 1889. It grew by a series of amalgamations which absorbed such famous names in the British iron and steel industry as Bell Brothers and Bolckow Vaughan. 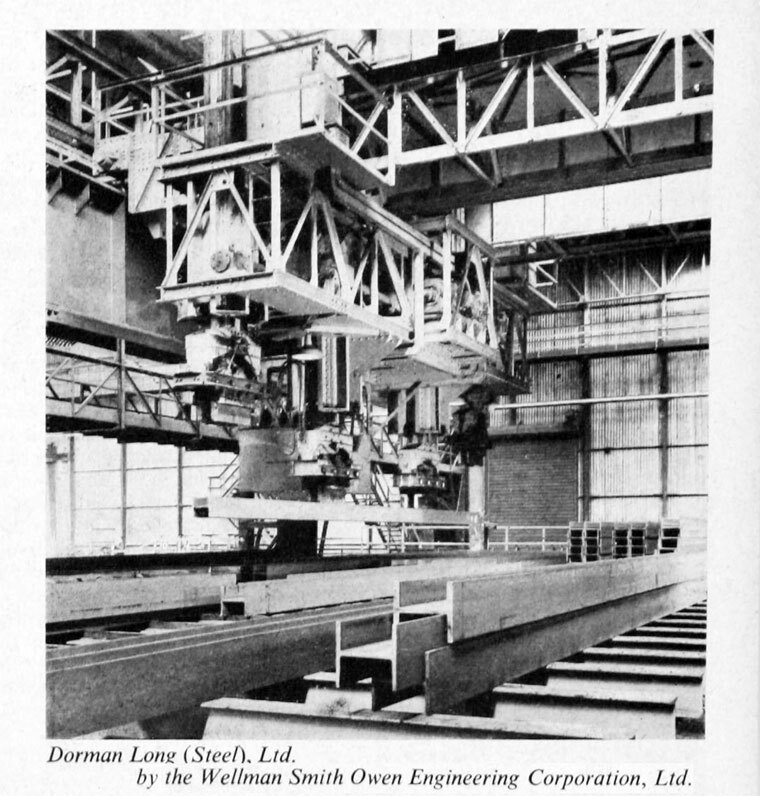 The first company in Britain to roll steel joists (in 1883), Dorman Long (Steel) Ltd. is the largest producer in the United Kingdom of steel for the structural industry. The company is responsible for approximately 9% of the steel output of the country and has a capacity of 2·6 million ingot tons per annum. 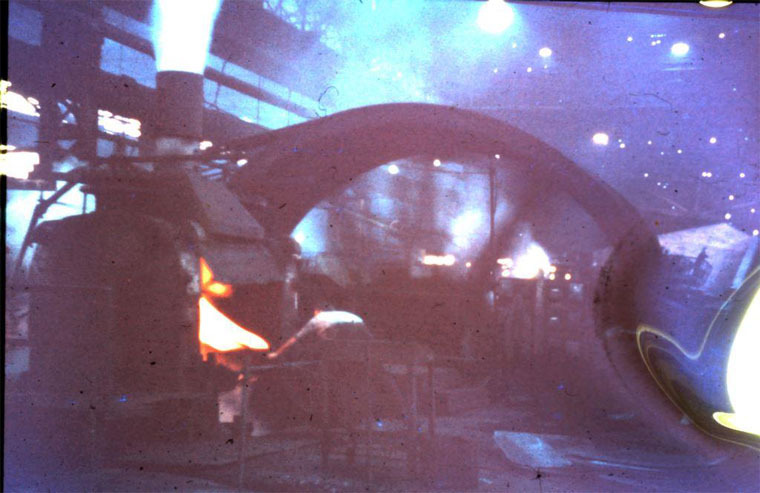 Today it operates four steelworks, a wire works, a sheet works and a plastic-coated sheet plant. In addition to universal beams and columns, Dorman, Long (Steel) produces heavy and medium plates, heavy joists and sections; rails, sleepers, light sections and bars; wire rod, wire; mild steel, black, galvanised and plastic-coated sheets; and welded steel fabrication. Since 1945 Dorman Long have spent virtually £100m. on capital development, the outstanding feature of which has been the installation of a universal beam mill at the Lackenby Works where there is also a continuous billet mill and a rod mill. In December, 1963 a stabbing and blooming mill was brought into operation to serve a new universal plate mill, now under construction at Lackenby together with a new rod mill. The whole of the company's iron making is now concentrated at the Clay Lane blast furnace plant where three furnaces of 1,500 tons per day nominal capacity are in operation. 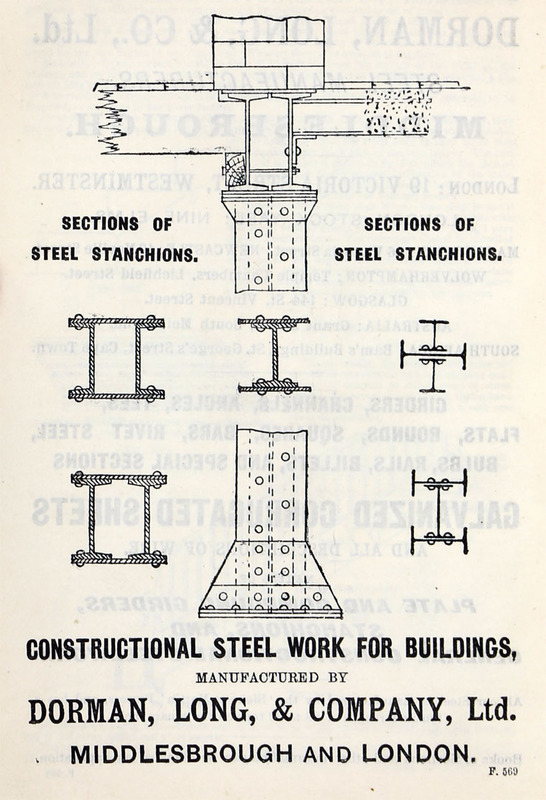 At the turn of the century a bridge and constructional department was created and the Dorman Long Structural Group today is responsible for approximately 22% of the steel structural engineering industry of Great Britain. It has built many famous bridges in different parts of the world and its other structural activities cover the construction of factories, power stations, multi-storey buildings and similar type of structures. On the north bank of the Tees, at Port Clarence, Dorman Long (Chemicals) Ltd. operate an important chemical plant where crude tar and benzole from the South Bank Coke Ovens are refined to produce a variety of chemical products. All the company's works are situated on the banks of the River Tees, affording exceptionally good facilities for the discharge of foreign ore and fuel oil, and the export of finished products. The Dorman Long Group, including its overseas structural-engineering companies, today employs 25,000 people." ↑ The Engineer 1900/05/04, p 472.